Today, after finished meeting my client, I reached home at around 11pm. After shower and having my supper, I switched on my laptop to check my stock performance. I was elated to see my Sincap, which was posted on Monday, shot up the roof. It garnered a return of another 11% today. I have shifted my stop loss and am expecting more from this extremely BULLISH counter. It may be my next big fat fish. My email was also flooded with many thanking me for posting this stock call. 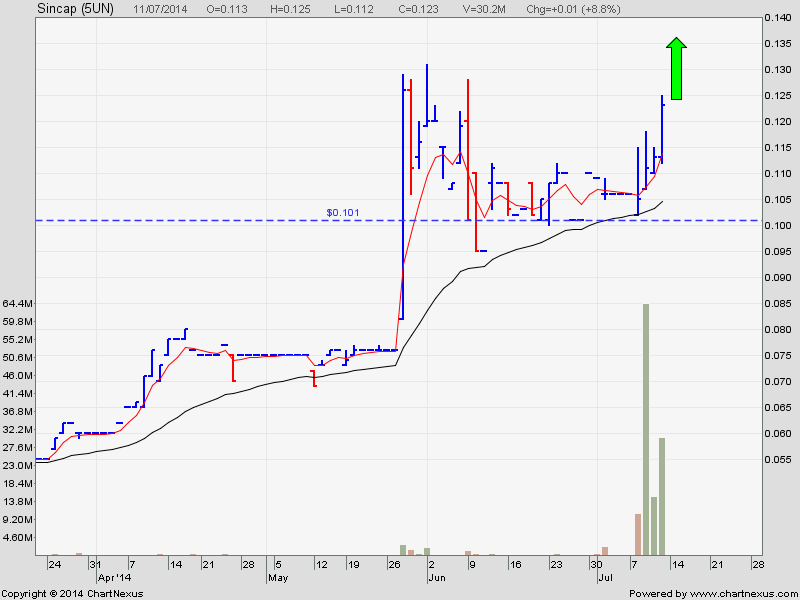 This week, almost everyday, the stocks which I entered, they just shot up. How not to make money with owning such a wonderful Trading System. See how I caught Jaya last month here. 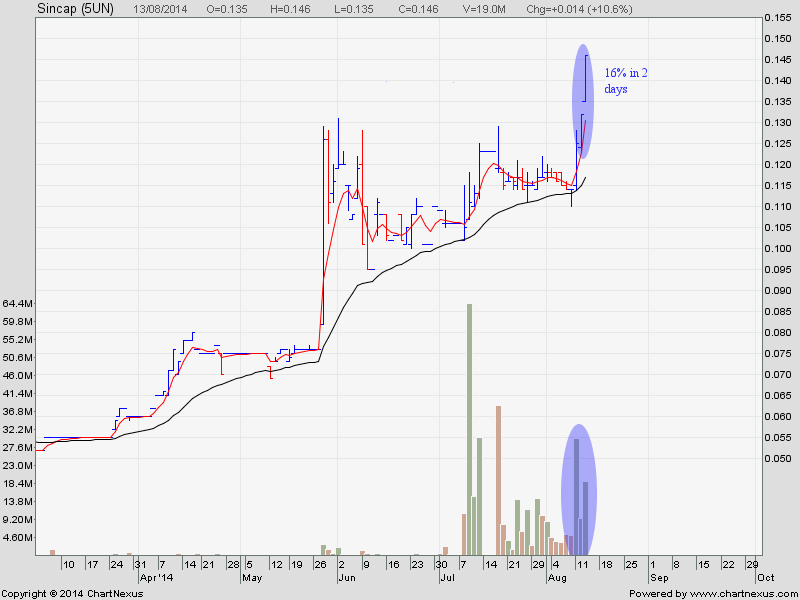 This penny stock is for gambler and those who want fast cash. Manually close your position once the profit is good. 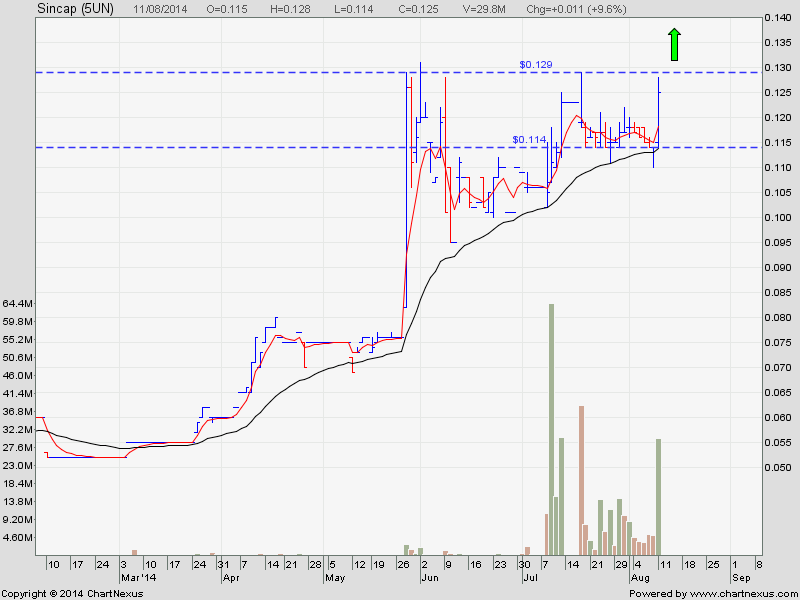 This penny stock is for gambler and those who want fast cash. Can only do intra-day trade and exit once your profit is good.